Before we headed back to the US about 8 weeks ago for our summer furlough and support raising trip, I had literally found myself in tears multiple times over the stress of the obligations to come. Two and a half months sounds so long, but as we looked at the amount of support that we’d need to raise, and as the invitations from family and friends started pouring in by the dozens, I’d become practically short of breath just looking at my email or Facebook inbox and imagining dragging our four young kids to an endless stream of social engagements. It took no time at all to discover that the potential pace of our summer was setting us up for massive stress and un-health. Thankfully we stumbled upon a great solution for at least part of the problem! I absolutely hate disappointing people and refusing loving invitations is so hard for me, but I’ve realized that it works a lot better to be the one doing the inviting vs. responding to invitations that might not be the best situations for our family. For us right now, taking our four young kids to dinner after dinner with people that they don’t know in places that are often not kid-friendly is just really exhausting and stressful. 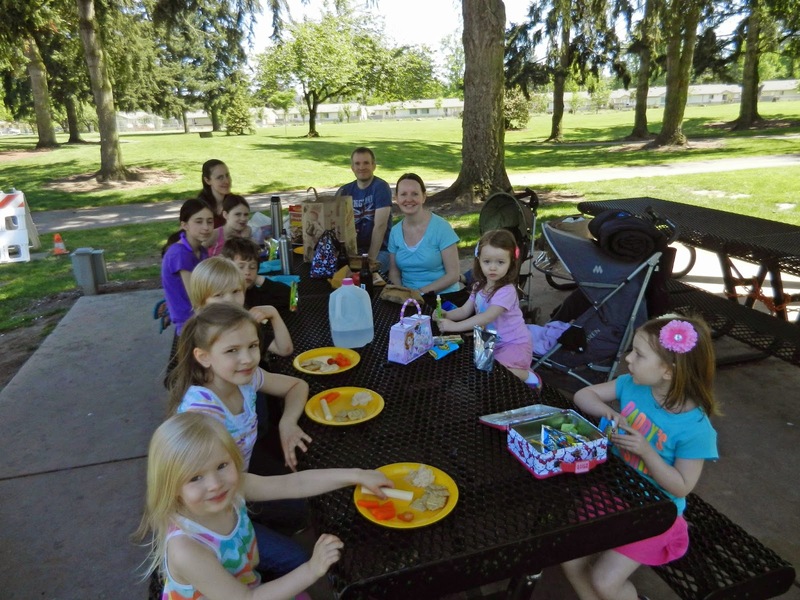 This summer we explained to our friends and ministry partners that we need to creatively help our kids to manage a highly social summer, and the main solution that we’ve come upon is to visit with friends in parks. It is so simple, but it has absolutely made all the difference in removing a tremendous amount of the stress of trying to see everyone in a short time! Each week that we're available, we post a day when we’ll be hanging out at a local park and invite friends to come and join us and bring a picnic if they’d like to picnic with us. It allows us to be in control of the scheduling as we plan the visit for the most convenient time and location for our family, it makes sure that everyone knows that they have been given multiple opportunities to see us if they would like, which removes the guilt of not being able to squeeze one-on-one time with everyone, it makes for simple hospitality as there is little meal prep and no house cleaning, and with naps and the reality of nobody really wanting to spend all day at the park it naturally limits the time so we are less likely to expend all of our energy and overwhelm our kids. It has been so great! (This time we had a gathering at a "spray park." I know this idea is not earth-shattering, but I thought I’d share my furlough tip with you all in case you too are looking for ways to fit lots of social visits without the stress. What are your ideas for reducing the stress of social obligations during furlough? What are your tips for managing a busy social schedule with kids? I think this is a great idea! So glad it has worked out for y'all! This is such a great idea! 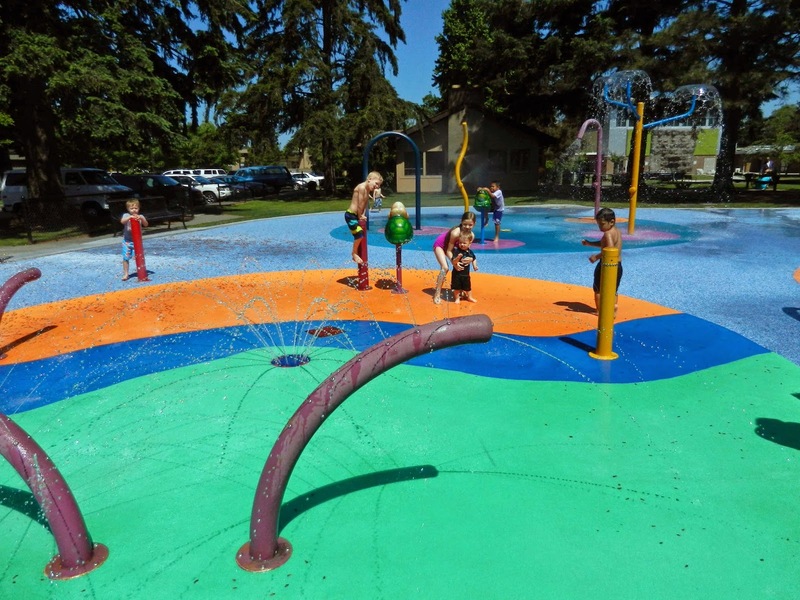 At the very end of our last time in the states, we discovered a splash park like that right in my inlaws' neighborhood. We succeeded in getting there with another family from church, the day before we left, or something like that. I tried to invite others, but I didn't have enough time in advance. But, next time I'm going to try to do exactly like you did and be really intentional with this. Oh, and Sarah, we did both weekdays and weekends. Both worked well and attracted different groups of friends. This is a great idea! I will remember this for when I have kids!